Kimbralon Barnes is a native from Austin, Texas, who currently resides in Phoenix, Arizona. She is a devoted wife to Gus Barnes, mother of three children: Chelsea, Kayla, and Kevin, and grandmother of six beautiful grandchildren. God called her to minister to children eleven years ago and have served children as a Sunday school teacher, Children’s Ministry Director, volunteered with community programs, and created Youth2Lead-an organization to empower children to become successful leaders from childhood throughout adulthood. 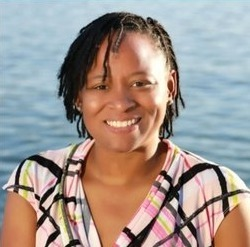 Kimbralon Barnes has a Bachelor’s Degree in Accounting, Associate’s Degree in Computer Information Systems, and an Associate’s Degree in Management, and currently completing internship for her Master’s Degree in Professional Counseling.